What is a USB driver? A USB driver is a file that is allows a hardware device to communicate with the operating system of a computer. These USB devices include a range of electronic items including, but limited to: keyboards, monitors, cameras, flash drives, mice, speakers, MP3 players, smartphones, printers and external hard drives. A software driver is an essential component because if it is not installed properly, the device will not work properly. Drivers for USB devices are often found on installation discs provided by the manufacturer. 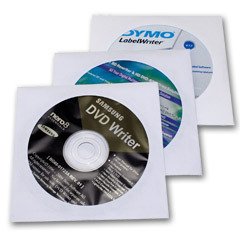 Some examples of installation discs are shown to the right. USB drivers are installed in the device’s registry directory. Among a driver’s specific capabilities is the support of operating systems applications, the means to detect various data and sensor properties as well as the power to work with compatible peripherals. A computer’s device manager provides information concerning the driver, like whether it needs updating, removal or reinstallation. This command can be accomplished by right clicking on the properties of USB devices in the “My Computer” section. A number of reasons call for the update of USB drivers. In the event that a computer bug is discovered, an updated driver has the ability to remedy the situation. Since computers have built-in drivers, third party driver software from a CD may be unnecessary. Instead for USB compatible devices, driver updates are often made available for online download from the device manufacturer’s website. USB driver issues that may arise include corruption or simple non-function. Occasionally, this may occur due to the use of newer devices being linked to older computers. Outdated firmware is another reason that drivers may not be able to communicate between device and computer. An inoperable USB port is another problem that hinders the use of drivers. Enabling or reinstalling USB controllers may help remedy USB driver issues; click on the “About” section for Macs and “Device Manager” for Windows to check the status of the controllers. In some cases, an entirely new USB driver may need to be installed. The driver can be downloaded online, where a user must choose to run the program and subsequently follow installation instructions. The process will then prompt a scan which allows the location of the drivers to be detected. The installation update is rendered complete when the USB drivers have been found. An entire reinstallation of the entire operating system may be required if troubleshooting efforts to check devices, settings, cable connections and software updates have been exhausted. One source to download USB drivers is Download.com by CNet, a technology news and software website owned by CBS Interactive.